Pop Rocks! 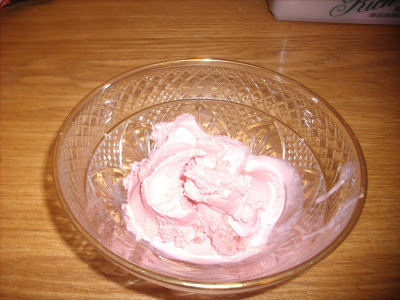 Again I used strawberry flavored of these as well. Place a few scoops of ice cream into a bowl or a cone. 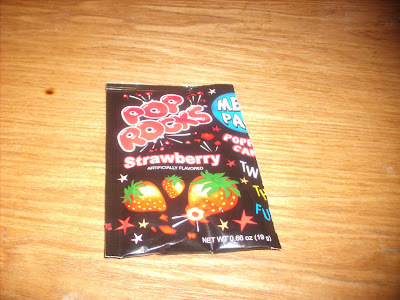 Sprinkle Pop Rocks on top and serve immediately. 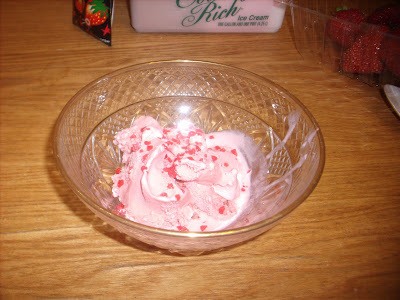 The Pop Rocks start popping on the ice cream you can hear it here. It pops pretty loud, I was surprised. I didn't turn the ceiling fan off while filming. That is the windstorm sound effect you hear. Pop Rocks and ice cream, who would have thought they would be so good together? Should try one of your recipes myself soon! Yes, you should! 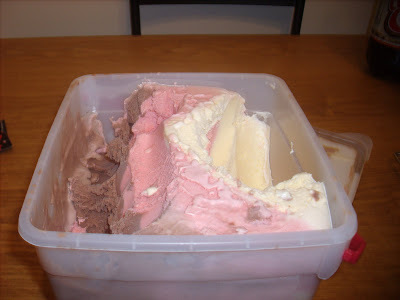 Plus ice cream + pop rocks = easy peasy funtime party!